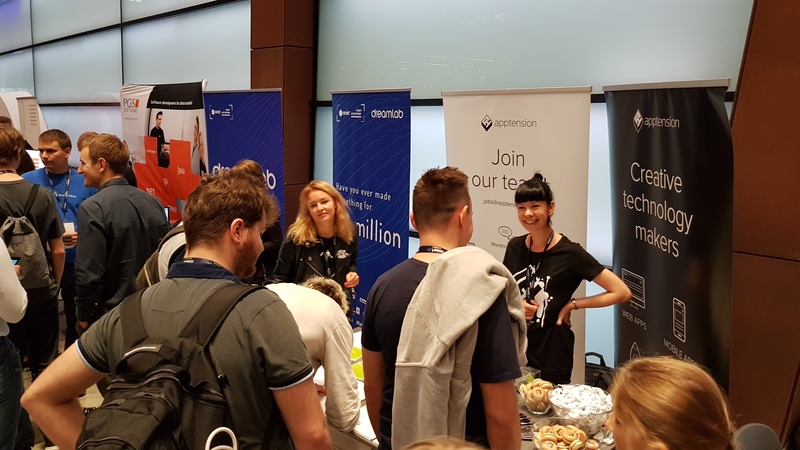 In September this year, Apptension frontend developers took their time to visit Gdańsk and attend meet.js Summit 2017. 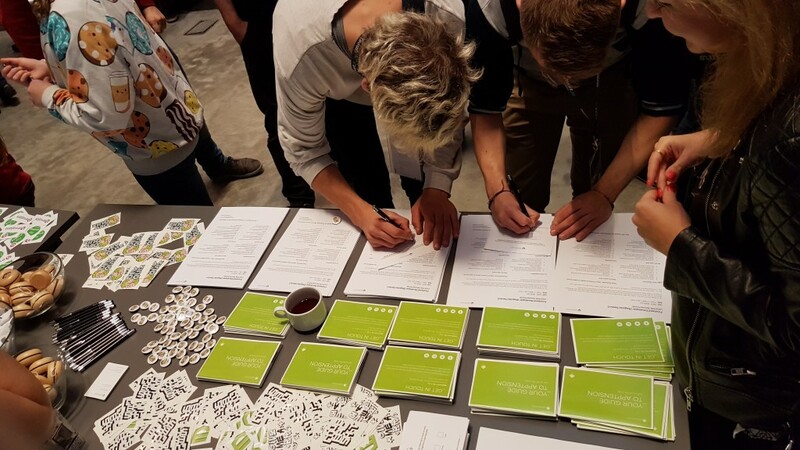 Here’s what they think about the event and its presentations including topics such as app performance, React and VR, and more. Do we have to convince anyone these days that conferences and meetups are worth attending? We believe that there’s still a ton of value in attending conferences. That’s why we’ve decided to become a sponsor of meet.js Summit 2017, present a speech and to exhibit our booth during the event. Plus, our frontend developers took their time to visit a charming city of Gdańsk to attend the conference. In case you’re not familiar with meet.js Summit, it is a conference for front-end professionals. 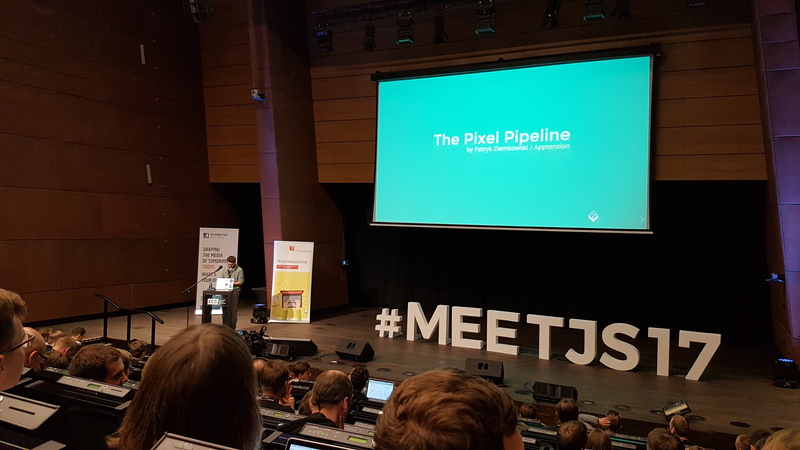 Among other speakers, Patryk Ziemkowski, Head of Frontend Development at Apptension, has given a presentation about the Pixel Pipeline. Ok, let’s now jump right to our developers’ thoughts after this year’s meet.js Summit! First, I think it’s an opportunity to meet new people with similar background, not just from your city or company. It’s a chance to talk to the speakers and share the knowledge. Not everyone is brave enough to ask a question during the presentation, so it’s nice that you can reach them during the break to chat about their speech. The big advantage of meet.js Summit 2017 is that there was just one stage, so there there were no simultaneous presentations. It increased the chance of learning new things, as I didn’t have to worry about choosing what presentation to go to. A big plus is that the speeches have been given in English,which we have to strive for, as the whole software development industry uses this language. Finally, visiting meet.js Summit is a good idea for those who want to speak at the local meetups, as they can watch many presentations and based on them learn how to create and present their own. We had plenty of gifts for attendees visiting our booth! “I found attending meet.js Summit 2017 positive and interesting. Although the level of the presentations varied, each one of them contributed to the conference. What’s interesting, three speeches have directly tackled the app performance (including Patryk Ziemkowski’s speech about the Pixel Pipeline), which indicates the importance of this topic. I would also like to mention the outstanding presentation by Adam Bar, who spoke about the mobile web performance in a very compelling way. Another useful topic for us was React, which we use at Apptension. Bartosz Król, for example, had an interesting presentation titled “How to became a hipster with React Recompose”, teaching how to compose your components like a pro. There was also a room for the VR-related topic. Andrzej Mazur presented a speech about A-frame (“Fun and games with A-Frame – building Virtual Reality experiences for the Web”) which was, in my opinion, worth going to mainly because of the examples included by the speaker. “I think that meet.js Summit is a valuable event for frontend developers. Everyone can find a presentation there that may be useful for their own career paths, regardless of their seniority level. It was apparent, especially judging by the number of questions after each presentation, which very often exceeded the Q&A time and had to take place during the breaks, that the developers took great interest in the presented topics. A very interesting speech was given by Kasia Jastrzębska, concerning Redux-Saga. She explained how to use it to handle side effects like making dependencies between reducers and problems with multiple async operations. Other speakers that inspired me were Bartosz Król (a presentation about React Recompose) and Zbyszek Tenerowicz (Node.js Diagnostics 101). Although I’ve mentioned just three presentations, I think that all of them were worth listening to. It’s because they were full of applicable knowledge that attendees can use in their own projects. Have our developers found attending meet.js Summit valuable and interesting? If you were not sure whether to to attend this conference, we do encourage you to visit it next time. And not only this one in particular – create a list of local meetups and bigger conferences covering your interests and pick some of them to attend. 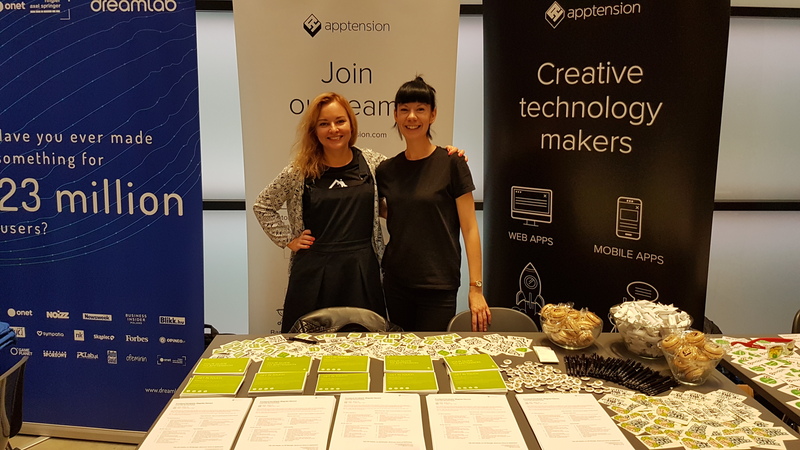 Maybe you will meet Apptension developers there as well!